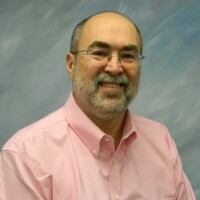 Joe joined Maradyne in 2010 to lead the continual improvement of its Quality Management System. As a proven manufacturing professional, his extensive background includes solid experience in the implementation of Quality Management systems and the application of LEAN and Six-Sigma methodologies for product and process improvements. He serves as a pro-active resource for Maradyne, its customers, and suppliers. Joe is dedicated Indians fan and an avid (hi-handicap) golfer. He is an active member of the local American Society for Quality (ASQ) section, holding the various positions including the Section Chair. Joe earned his Master’s Degree in Business Administration from the University of Phoenix and is a Certified Quality Engineer of ASQ.